Industry Nominated Technology Breakthroughs – Borko Furht, Ph.D.
National Science Foundation publishes every two years the Compendium of Industry-Nominated Technology Breakthroughs of NSF Industry/University Cooperative Research Centers. This book is then sent to all US congressman and senators. This is already the second time that our NSF I/UCRC Center for Advanced Knowledge Enablement (CAKE), jointly with FIU, has the highest number of technology breakthroughs of all US I/UCRC centers. In the recently published 2016 Compendium, CAKE has six breakthroughs, while the next two ranged centers have three breakthroughs. Similarly, in 2014 CAKE had six breakthroughs and Purdue University’s Cooling Technology Research Center had also six breakthroughs, and all other centers had a smaller number. In summary, FAU/FIU NSF I/UCRC CAKE Center is recognized as number one in country based on technology breakthroughs. Here are the technology breakthroughs from the CAKE Center at FAU directed by Dr. Borko Furht. In this project, CAKE researchers at Florida Atlantic University developed a driver drowsiness detection system. This research combines smartphones with machine learning to detect driver drowsiness in real time. The system is based on visual input that includes the position of a driver’s face and head/eye position. This innovative algorithm combines software components for face detection, human skin color detection, and a classification algorithm for the eye state (open vs. closed). The system uses commercially available smart phones to monitor drivers. Visual inputs are then used to detect signs of drowsiness. When signs of drowsiness are detected the system issues an alert. The system uses innovative machine learning algorithms that continuously monitor driver behavior and alerts the driver in real time when certain thresholds are met. The high speed algorithms provide continuous, real-time analyses of driver imagery without consuming an undue of battery power. A model of Ebola spread was developed using innovative big data analytics techniques and tools. Massive amounts of data were used from various sources including Twitter feeds, Facebook and Google. This data was then fed into a decision support system. It models the spread pattern of the Ebola virus and creates dynamic graphs and predictive diffusion models based on the outcome and impact on either a specific person or on entire communities. This CAKE research created computational spread models for Ebola that will potentially lead to more precise forward predictions of disease propagation. The tool will help identify individuals who are possibly already infected. It is capable of performing trace-back analysis to locate the possible sources of infection for particular social groups. The ongoing development of smart buildings has recently gained in importance at Florida Atlantic University. Innovative methods are being used to optimize the operation of buildings and thereby reduce operating expenses and reduce energy consumption. In this project, research was conducted on the FAU’s new LEED Platinum-certified Engineering building that houses the Center for Advanced Knowledge Enablement’s (CAKE’s) laboratories. The building was designed both as a model of how new technologies can drastically decrease the energy requirements of a large building and as a “living laboratory,” so that students and faculty can actually see how these systems work and interrelate. The building is equipped with hundreds of sensors that measure and collect various parameters and display them in real-time on a dashboard, which is accessible through a Web-based application called DeviseWise from ILS Technology, a member of our I/UCRC and our partner in this project. CAKE team developed a data warehouse that stores information from several different sensor systems including DeviceWise, standalone wireless and wired sensors, PDM calculated clusters, and weather stations. The collected weather data comes from a link to the WeatherBug API. Every 15 minutes it pulls meteorological information including temperature, humidity, wind speed and direction, air pressure, rain amount and light levels. The system provides tools for extracting and analyzing sensor data. It exports it in a variety of formats for use by other tools such as the Weka Machine Learning Suite and Excel. The CAKE researchers developed a wide range of machine learning algorithms on the High Performance Cluster Computing (HPCC) platform. This platform includes traditional algorithms such as Naïve Bayes and K-Nearest Neighbors, to more advanced techniques such as Deep Learning. This enables researchers and practitioners to apply machine learning algorithms on big data to extract patterns and perform predictive tasks. The HPCC architecture, written in conjunction with the ECL programming language, is LexisNexis’s answer to applying machine learning methods on big data. HPCC provides a platform for implementing parallel, distributed, and scalable machine learning algorithms. The general linear algebra and statistical operations implemented in HPCC along with the data structures provide an ideal platform for implementing the machine learning algorithms. 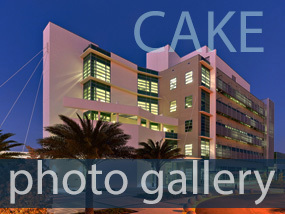 CAKE researchers at Florida Atlantic University developed an innovative solution for visual asset identification using visual features of an image. Visual features of asset images are computed using complex mathematical methods. These visual features are used to identify and match asset images. A database with visual features of asset images was built for every distinct asset that is typically present in large data centers. Assets needing identification are captured using a camera on a mobile device. The device then extracts and transmits the visual features to the server for matching and asset information retrieval. This breakthrough, an optimized version of visual feature extraction and comparison methods, was developed to improve matching accuracy and reduce computational complexity of feature extraction as well as matching. Researchers at CAKE, in partnership with Soren Technology, developed a system for reducing hospital readmissions. The system integrates several telemedicine, patient care coordination, and clinical decision support systems to identify patients at high risk for re-admission. This is all based on data mining and a statistical analysis engine. The current system focuses on the readmission issues related to COPD. Predictive modeling of readmission is a complex effort. 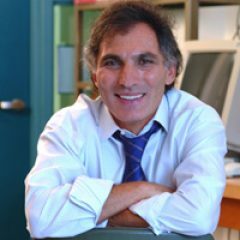 This work represents an improvement over previous state of the art because it enables comprehensive autonomous statistical analyses based on the mining of patient data using a unique process/algorithm. The clinical decision support system developed at CAKE is designed to predict hospital readmission risk for COPD using electronic health records (EHR) information. This breakthrough results from very successful collaborations involving two I/UCRCs, the Center for Advanced Knowledge Enablement (CAKE) at Florida International University (FIU) and Florida Atlantic University (FAU) and the Center for Hybrid Multicore Productivity Research (CHMPR) at the University of Maryland, Baltimore County (UMBC). This breakthrough work makes it possible to deliver a decade of 3-D animated visualizations of spectral infrared (IR) satellite radiance data from instruments on Aqua. These animations use 3-D to show the vertical structure of a decade of global and regional temperature trends occurring at the surface and lower troposphere. In addition, the algorithms developed by CHMPR have been providing CAKE with 3-D temperature profiles that specify the thermal structure around hurricanes in order to improve their landfall prediction.